If you have ever been down to Shibuya to meet friends on a bustling Saturday night, you probably know the famous statue of Hachiko. The Hachiko exit (famed for the statue of this famous dog) is located across from the famous Shibuya "scramble intersection" Crossing. "Let's meet at Hachiko" is a catch phrase popular if you are actively seeking the vivacity and thrills Tokyo night life offers. Hachiko is famous for his faithfulness to his owner, Hidesaburo Ueno, whom he meet every day at Shibuya station after Ueno returned home from work. Professor Ueno passed away one day from a cerebral hemorrhage but Hachiko continued to show up at Shibuya station every evening for the next 9 years. 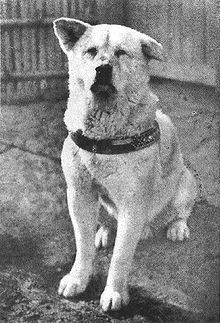 The full story of Hachiko can be found here. Today I went to the famous Aoyama Reien 青山霊園 to see the cherry blossoms with my dear friend and former classmate, Yuko. During our tour of the cemetery, we found Hachiko's memorial. I started out from Gaienmae Station. In order to find the grave, you will want to grab a map from the Cemetery office. The official was very kind and had a paper map ready to hand me when I asked where to find Hachiko's grave. Jon: According to the map its up here on the right. Yuko: Thats because you are holding the map upside down. Jon: oh, right, so we go left, right? After a few directional issues, we found it: Hachiko's memorial. "The late Mr. Ueno Hidesaburo"
The guy at the Cemetery office said that seeing Hachiko's grave gives the story of Hachiko a new, more personal meaning. He was absolutely right. I highly recommend checking this out. 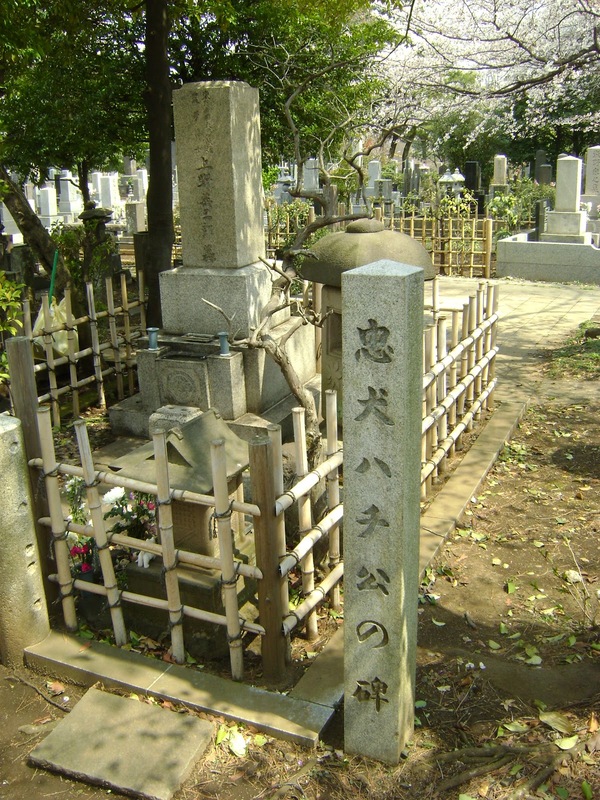 I've been try to find Where the real Hachiko buried I am so glad I found it from you since I watched the Hachi the movie I fell in love with Hachiko Lagency. I am hoping some day I can travel to Japan to visit. I hope one day be able to visit this place to honor this great God´s creation that was Hachiko. Hachito my friend rip and look to us. Tks for your visit to Hackiko´s grave and fotos. One day I'll visit Hachiko's grave!